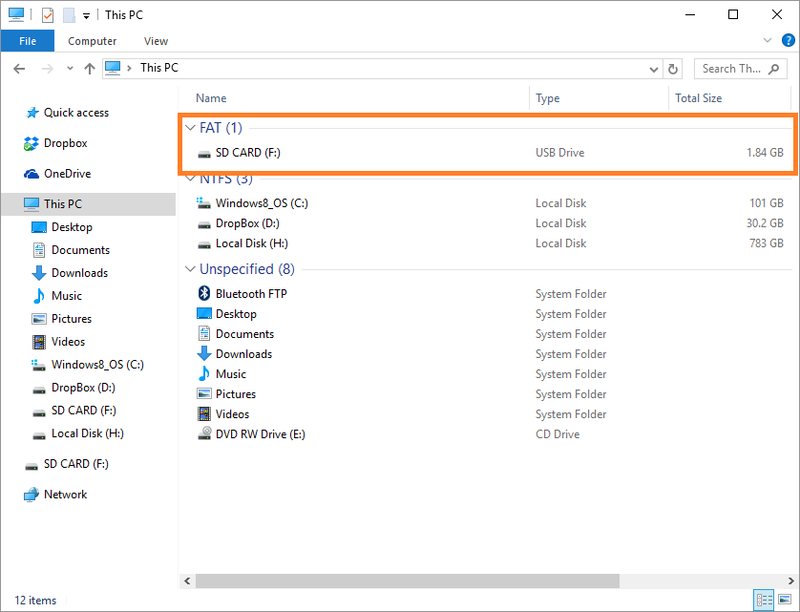 How To Fix New SD Card (s) Not Appearing in Windows 10? Wally’s Answer: Using SD cards can be a bit of a downer if they don’t work. Here. we will look at the issue of not being able to see new SD cards in “My Computer” or “Windows file Explorer”. Are they damaged? are they really working? Lets find out! 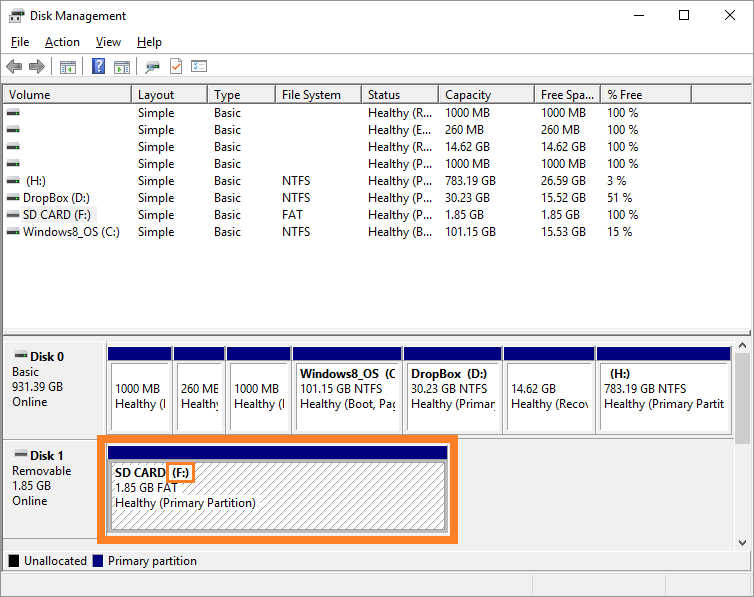 The user is not able to use the SD card even when the card and its adapter are connected to the computer. This problem is usually caused by an SD card that has not been formatted and/or does not have a drive letter associated with it yet. What Happens When A New SD Card is Detected? Windows installs the drivers for it, and shows a message as soon as you try to open it (an un-formatted SD card) for the first time. A dialog box pops up and asks you if you want to format it. If you select yes, then it starts formatting, and a drive letter is assigned to it. This enables you to use a newSD card. The SD Card Does Not Appear? Where is it? You may run into a problem if the SD card does not get formatted automatically. Then, you’re not able to use it. What should you do then? 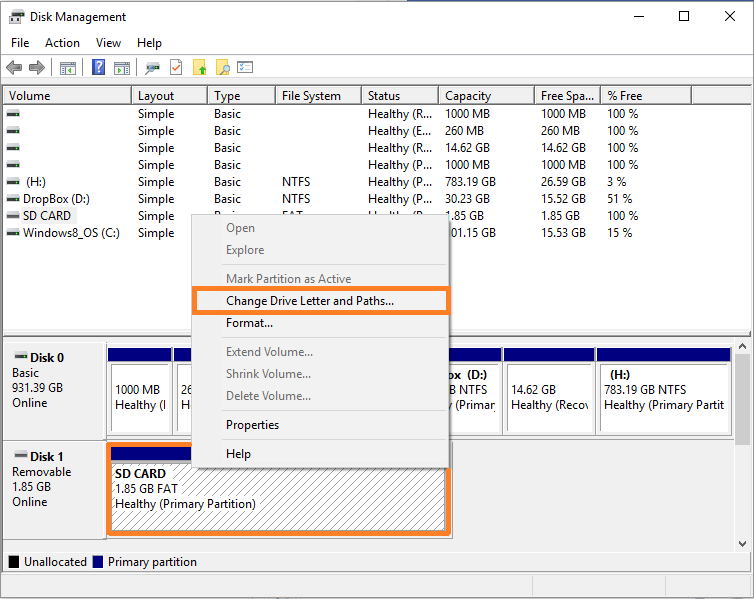 You should format the SD card manually and assign a drive letter to it. 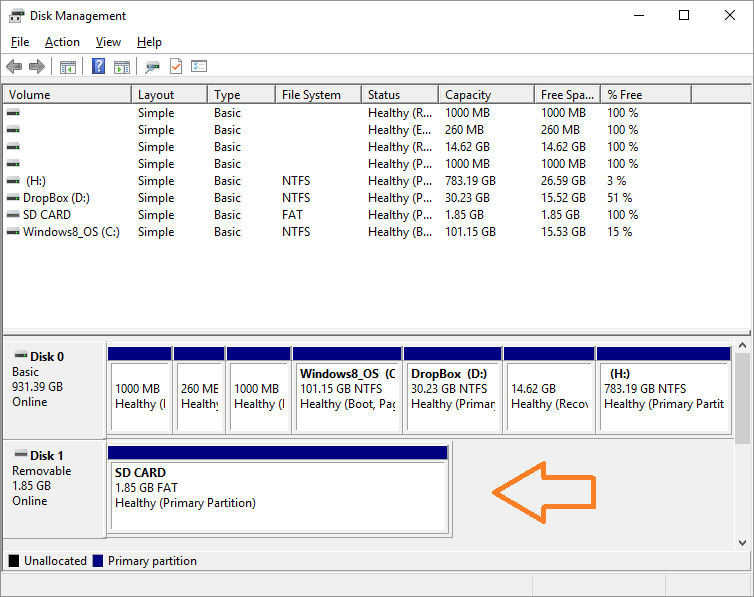 How To Format An SD Card and Assign a Drive Letter To It? Insert the SD card in the card reader and then connect it to the computer. 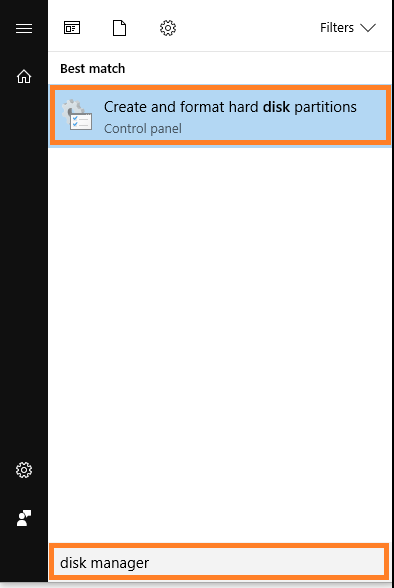 Now, click ” Create and Format hard disk partitions ” to open Disk Manager. If you’re not sure which one it is, then look at its size. to confirm that it is indeed the SD card that you just inserted. In our example, our SD card still doesn’t have a drive letter assigned to it. This means that it will not be visible. This means that it will be visible to Windows File Explorer and to software programs. Now, you should be able to use it as a normal disk drive. And, typically you will only need to do this the first time. 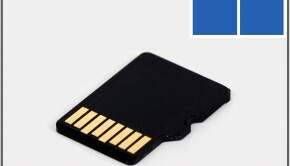 If the above instructions did not work for you, then there is a chance that the SD card is not functioning because it is damaged, or because the SD card reader is not working correctly. How would you check to see if either of these are true? click here to learn how. What To Do If Formatting The SD Card Does Not Work? If it is not showing some options or you ran into some other problem with it, then you should try installing minitool Partition Wizard Free. 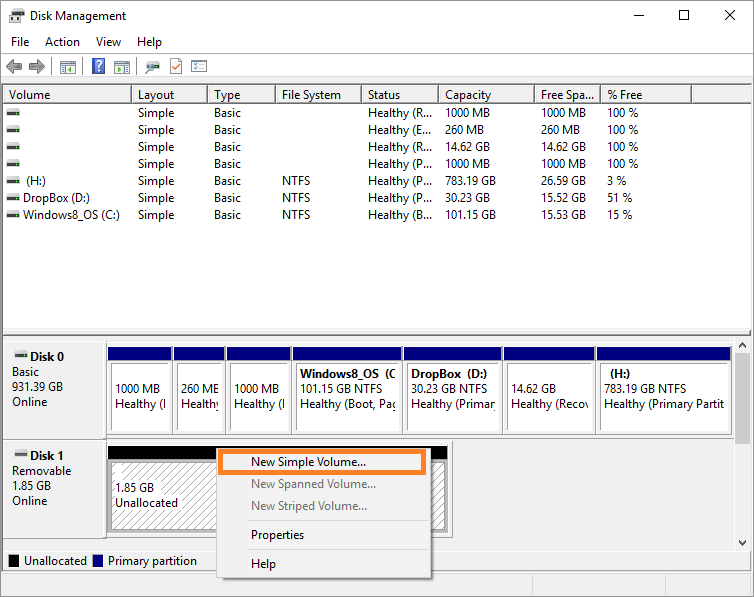 It is a very reliable partition manager that will even resize your Windows partition. It is free. Please use it instead to perform the above tasks.